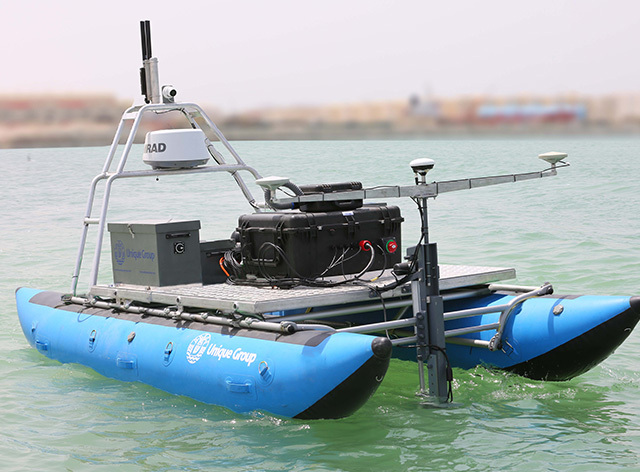 Unique Group, one of the world’s leading integrated subsea and offshore solution providers, has designed and developed its first Unmanned Surface Vehicle called Uni-Cat. With proven hydrographic survey capabilities, the Uni-Cat can be used effectively for bathymetry survey offshore and in shallow waters. It is ideal to be used in locations where conventional survey methods are not feasible. Uni-Cat has a 16-foot Cataraft platform and is designed to provide ease of mobility and operability in areas which are difficult to access. The boat is integrated with multibeam, ancillary sensors and communication links into a remote-controlled platform for quick and easy deployment. Uni-Cat also has a real-time positioning and obstacle warning alarm unit along with a heading sensor, for safe and guided navigation. The USV is being launched at Ocean Business in Southampton and the team will be available for a chat at booth #L12.